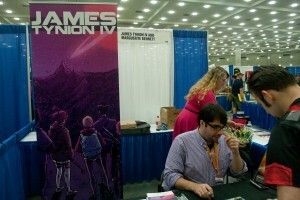 Still Not Sure About Baltimore Comic-Con? – Comic POW! 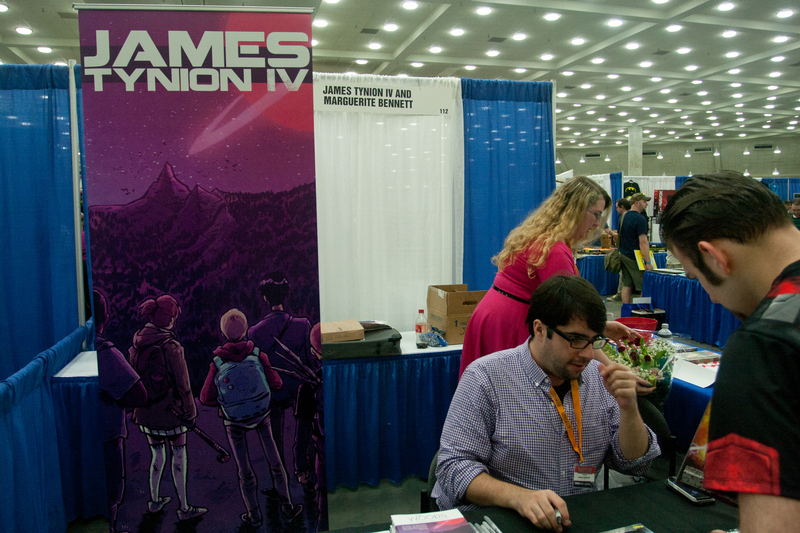 Still Not Sure About Baltimore Comic-Con? Well, it’s only TWO weeks away, so let’s see if this helps you make up your mind! First off, what about being able to see this great talent from the Comic Art House Collective? Scott Ambruson artist, The Collectors, Trailer Park of Terror, Crime Wave Anthology, AZTECA and Destiny, Queen of Thieves. Talent Caldwell artist, Action Comics, Batgirl, Gen13, Spectacular Spider-Man, and X-Men: Age of Apocalypse. Chris Campana artist, Kantara, First World, Vigilante Project, and Realm of the Underworld. Katie Cook writer/artist, My Little Pony: Friendship is Magic, Fraggle Rock, and Gronk. Joe Eisma artist, Morning Glories, Archer and Armstrong, Archie, Bill and Ted’s Most Triumphant Return, and Hoax Hunters. Keron Grant artist, New X-Men, Iron Man, and Spider-Man. Laura Guzzo artist, Roadkill du Jour, Shakespeare Shaken, and PrinceLess: Short Stories for Warrior Women. h-eri artist, Dominion and Shadowfist. Ken Hunt artist, Bloodlines and Talon. Mike Lilly artist, Nightwing, Vampirella, X-Men Unlimited, Quasar, Catwoman, Punisher, and Grimm Fairy Tales. Pop Mhan artist, Amazing Spider-Man, Batgirl, He-Man and the Masters of the Universe, and All-New X-Factor. NEN artist, Legend of the Five Rings and Shinobi Clans, The Memory Collectors, Aspen’s Damsels in Excess, and Justice League. Brent Peeples artist, Teenage Mutant Ninja Turtles,TMNT/Ghostbusters, X-O Manowar, Godzilla Cataclysm, and Legenderry: Green Hornet. Andy Price artist, My Little Pony: Friendship is Magic, Adventure Time, Littlest Pet Shop, and Wordgirl. Sara Richard artist, My Little Pony: Friendship is Magic, Deadpool, and Jem and the Holograms. Craig Rousseau creator, The Perhapanauts, and Kyrra: Alien Jungle Girl; artist, Impulse, Batman Beyond, Gotham Adventures, Harley Quinn, and Captain America. Matt Slay artist, TMNT/Ghostbusters crossover and Teenage Mutant Ninja Turtles Micro Series: Leonardo. Ben Templesmith artist Fell, Wormwood: Gentleman Corpse, Gotham by Midnight, 30 Days of Night, The Squidder, and Dagon. Mark ‘Tex’ Texeira artist, Wolverine, Punisher, Ghost Rider, Sabretooth, Moon Knight, and Space Punisher. Jeremy Treece artist, Flash Gordon, Hero@Large, Marvel Zombies: Christmas Carol, and Mandrake the Magician. There’s also the costume contest with a $1000 prize for the best professional and $500 for the best amateur. I’ve always enjoyed my time there – the panels are great and the focus is strictly on comics, unlike some of the bigger shows. Come join us!